“When I made EFNY, I used predominantly the original John Carpenter Movie Soundtrack, with some extra bits and pieces by yours truly and others. I’ve had a number of folks ask what the original End Credits music is, as it’s not on their Soundtrack CD but sounds like it should be. Some have also asked if I’d make it available, figuring that it’s a lost or rare John Carpenter piece. Needless to say it’s not. This gem is actually by a very good friend of mine. Steve’s a huge fan of both John Carpenter’s Movies and Music. When I started production on the series, I had in the back of my mind the Demo that Steve had sent me of the track, which he’d written as a tribute to the works of JC. Knowing just how close this is to the Music from the OST, I asked Steve if I could use it on the BSAP Audio series. To my delight, he said Yes. Flash forward a couple of years, and I realised I hadn’t said thank you properly for the tune. So I decided to put that to rights, and Produced this Remix as my way of saying Thanks. We cannot even begin to express just how proud we are of achieving this status at SFFAudio. Massive Thanks Jesse, and all those who gave us 110% on this Production. We couldn’t have done this without your amazing efforts. 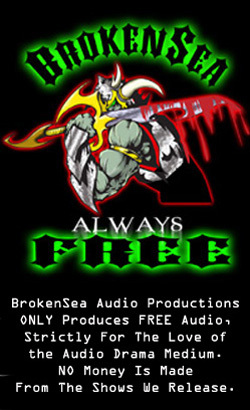 A Bonus release, to celebrate the series’ return to BrokenSea. Here is the New Main Theme, that was specially composed by Stevie K. Farnaby (AKA SKiFfle) for Episode 5, and use on Series 2. It’s an Industrial cover of the original Main Theme. Much heavier and faster paced, to mirror the tone of the next series. Enjoy ! “Heard You Were Dead” – Guess Again ! Adapted for Audio by Bill Hollweg from an original concept by John Carpenter and Nick Castle. Transcript by Angela F. Connor. Episode 5 Music from the Original Motion Picture Soundtrack by John Carpenter. Episode 5 Main Theme by Brian of Seraphic Panopoly. This Episode is dedicated to Jesse Willis of SFF Audio Who gave us the idea to blow up the Statue of Liberty as per the Movie Poster. This in turn sparked off the idea of us doing a new original series. Thanks Jesse. Music from the Original Motion Picture Soundtrack by John Carpenter. New Version of Main Theme by Brian of Seraphic Panopoly. Snake takes a taxi cab ride into the heart of the wasteland that is Manhattan Island. End Credits Music, “Snake” by Steve (LV426) Wilkins. Recently captured outlaw, Snake Plissken enters the anarchic gangland world of violence and brutality that is now Manhattan Island Maximum Security Penitentiary. And who IS the menacing figure simply called The DUKE? …. Enroute to a World Summit, and carrying plans for a NEW a top-secret weapon, the President’s plane is Hi-Jacked and AIR-FORCE 1 crashes inside the walls of Manhattan Island – Maximum Security Penitentiary. Only one man can bring him back… The newest prisoner arriving with a Life-Term, Notorious Outlaw and former Special Forces War Hero, SNAKE PLISSKEN…. Music from the Original Motion Picture Soundtrack by John Carpenter. New Version of Main Theme by Brian of Seraphic Panopoly. 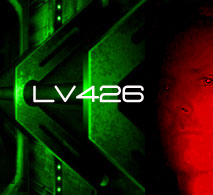 End Credits Music, “Snake” by Steve (LV426) Wilkins.